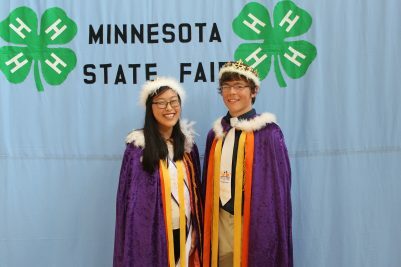 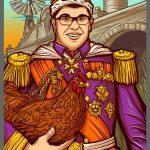 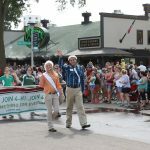 Inspired by the Minnesota State Fair’s Princess Kay of the Milky Way contest, Maccabee created Gold’n Plump’s first-ever “Poultry Prince and Princess” contest – recruiting the nonprofit educational group, Minnesota 4-H, as its partner. 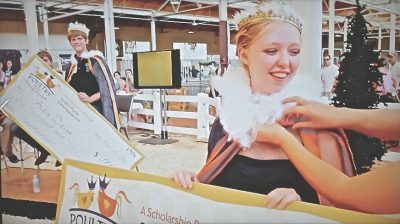 Motivated by a scholarship and the honor of being named poultry royalty, teens from farms across Minnesota competed in the State Fair’s poultry barn. 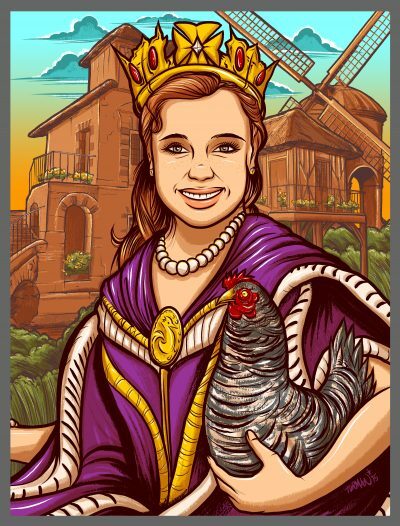 Contestants had to excel at the chicken BBQ contest, poultry interview, quiz (“How often do most hens lay eggs?”) and showmanship contest in which they exhibit their live poultry. 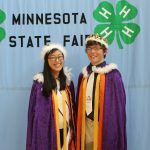 In the end, one boy and one girl are crowned the Minnesota Poultry Prince and Poultry Princess, adorned in regal attire, entered into the Poultry Prince and Princess portrait gallery with original paintings by the official State Fair artist, and honored as the year’s ambassadors to the Minnesota poultry industry. 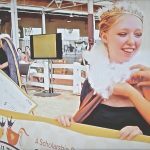 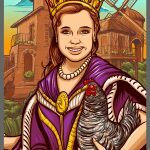 Media coverage for Gold’n Plump’s Poultry Princess and Prince contest topped 170 mentions by print, broadcast and online outlets in its first year, giving the brands potential exposure to 24 million consumers. 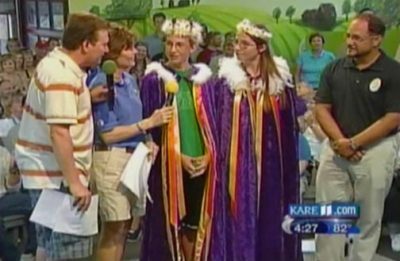 The coronation ceremony was featured in 12 TV segments worth $80,000, spanning NBC affiliate KARE-TV, CBS affiliate WCCO-TV and Fox-9 TV. 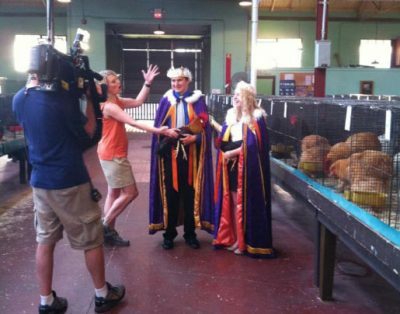 Poultry Prince and Princess, 2016. 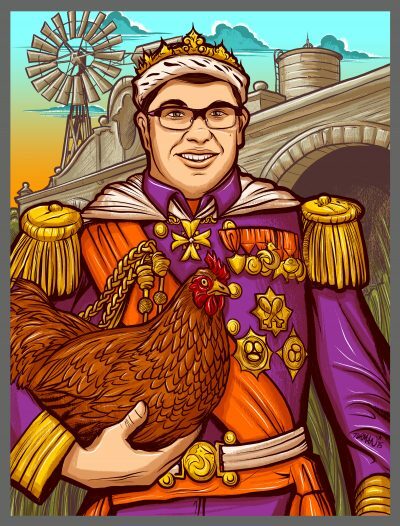 Official portrait by Adam Turman, 2015. 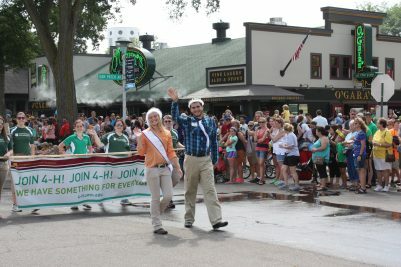 Minnesota State Fair Parade, 2014. 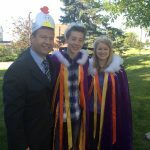 Poultry Prince and Princess, 2011. 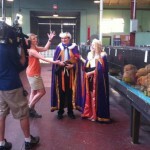 TV segment n the poultry barn, 2011.